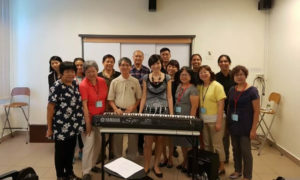 At the Methodist School of Music (MSM) Worship Symposium, held from 15-17 June 2017, participants from many different churches, denominations, and countries came to understand more about spiritual worship, experience different forms and styles of worship, train their skills in leading worship, and encounter God together as a community in worship. The symposium commenced each morning with a worship service drawing from the great cultural diversity of songs, musical settings and readings from different countries. The sermons and reflections at these services highlighted that worship involves much more than just music; they focused on the elements of true spiritual worship – being a living sacrifice (Romans 12:1-8), leading a doxological life in Christ (Psalm 95), and loving God and our neighbours (Mark 12). 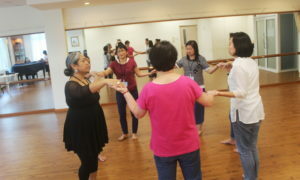 Understanding the theory and practice of spiritual worship was also at the heart of the three plenary sessions. The first session, ‘Standing on Solid Ground’, was conducted by Dr Lim Swee Hong, the Deer Park Associate Professor of Sacred Music at Emmanuel College and the Director of the Master of Sacred Music programme. He said that as worship is essentially about being and living as God’s people, we should guard against the misconception that there is only one ‘authentic’ form of worship acceptable to God (or that it can only be found in our own church) – there is unity in diversity, and what truly matters in worship are our relationships with God and with one another. 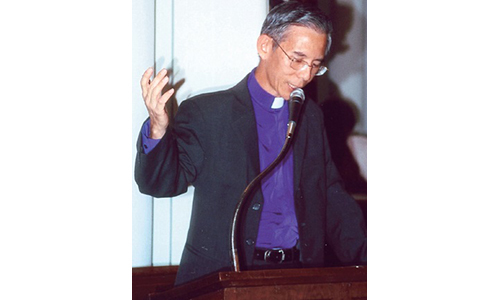 Dr Lim also warned against changing the role of music in worship, from a subservient secondary accompaniment to become the driving factor akin to that of a secular performance. The second session, ‘Life as Worship’, was led by Dr Lim, the Rev Dr John Bell, a liturgical composer, preacher, and teacher, and Mr Greg Scheer, music associate at the Calvin Institute of Christian Worship. The speakers called for genuine worshippers in spirit and in truth, who approach God with a broken spirit and contrite heart in surrendering all sense of self and walking in obedience to His commands. They stressed that worship was not only about the final outcome or perceived success – it also involves our process and attitude in getting there. They therefore urged participants to make their entire life their worship to God, reminding them that everything from our worship song lyrics to our daily conduct affect others’ perspectives of who God is. The third session was a panel discussion on worship, culture, and the arts. The discussion covered issues such as how the status of our relationship with God naturally comes forth in our worship, and how worship is not an individualistic pursuit but undertaken together with the church community. The panel spoke candidly about general misunderstandings that artists lead worship because they “just want to perform”, but also stressed that worship leaders should not harbour anything that distracts them or the congregation from God. Ultimately, the reason why spiritual worship is so crucial to the worship service is because we must first walk right with God before we can facilitate others coming to Him. The afternoon sections over the three days of the symposium commenced with sessions exploring music in worship. 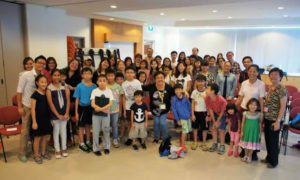 The sessions ‘What Would Jesus Sing’ and ‘Times and Seasons’, led by the Rev Dr John Bell and Dr Joel Navarro, Professor of Music at Singapore Bible College, introduced participants to songs, musical settings, and readings around the world from countries such as Korea, Africa, Germany, and Hawaii. 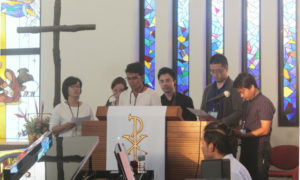 The speakers challenged participants to consider adopting such cross-cultural worship components, in order to help congregations appreciate that these have intrinsically-unique cultural identities, yet also connect their culture to a worldwide community centred on God and His plan for us. Another section, titled ‘Tell Me the Story of Jesus’, was a real-life case study in which Mr Caleb Yap and Mr Aaron Lum from Grace Baptist Church spoke about their experiences in its churchwide project – the GBC Reformation Concert 2016 – to collaborate and celebrate the story of the Bible from Genesis through Revelation in scripture and song. They shared that worship music has the power to help us feel, learn its theology, and become united in Christ through skilful and wise leadership as well as pastoral love. Symposium participants could also choose from a variety of afternoon sectionals, which included the Rev Dr Bell’s ‘The Language and Beauty of the Psalms’, introducing participants to various songs based on the Psalms. The Psalms are especially appropriate for worship as they are rich in theology, and cover a great range of human emotions as well as a variety of subject matters. Greg Scheer said in a separate session that the Psalms should be sung in modern worship as they give us vocabulary to express our faith, connect us to the historic and global church, and disconnect us from our cultural and personal perspectives. 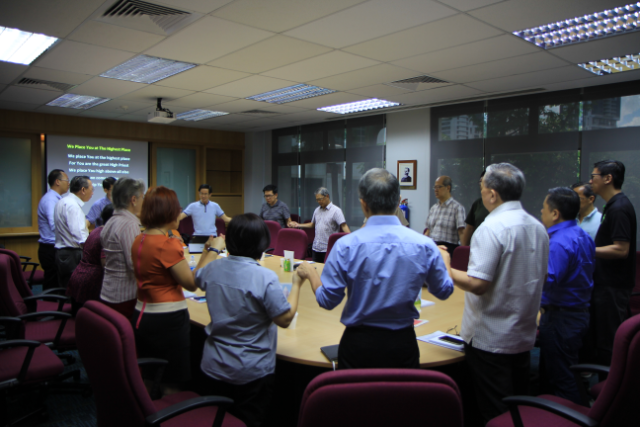 Another insightful sectional was ‘Worship and Culture’ conducted by Dr Lim. He explained that worship is transcultural as it has certain dynamics beyond culture, is contextual as it reflects local cultural characteristics, is countercultural as it resists the idolatries of a given culture, and is cross-cultural as it reflects the fact that the body of Christ transcends time and space. 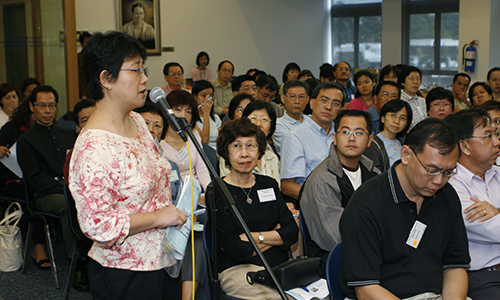 The challenge for us in our uniquely-Singaporean culture is therefore figuring out how to distinguish contextual elements from transcultural elements, and thereby localise our worship without disconnecting ourselves from the global body of Christians. The symposium also offered a plethora of workshops to cater to the different aspects of leading worship such as band arrangement, vocals, and specific instruments like guitar and keyboard. More than just skills training, these workshops were a platform for sharing different perspectives and experiences, and a reminder that the role of a worship leader was not a performance, but instead a background facilitation of bringing the congregation to worship God. The highlight of the symposium was the Worship Symposium Festival at its concluding evening service, ‘A Life of Joyful Praise’, which was led by the workshop lecturers and involved representatives from the choral conducting, dance, choral arrangement, and songwriting workshops. It was a joy to worship God together with brothers and sisters from different cultures in a celebration of community. is a member of Methodist Church of the Incarnation.